Stylesheets as the name suggests is the piece of code that adds style to your PeopleSoft application. When you log into PeopleSoft application, all the menus, colors , design are controlled by stylesheets. PeopleSoft application comes with a default stylesheet which can vary between different Application releases. If you wish, you can also change the default stylesheet to meet your requirements. 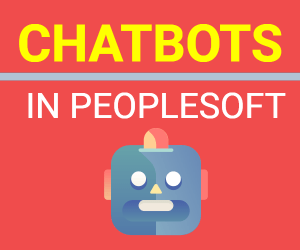 Here is the post on how to change PeopleSoft stylesheet when logged into PeopleSoft application. Recently I was doing some testing in PeopleSoft Update Manager Image and by mistake made some incorrect changes to stylesheet. Default stylesheet was PSSTYLEDEF_TANGERINE and I changed it to DEFAULT_THEME_TANGERINE_ALT and saved my changes. Page Style Create failed for page PTPG_PGVIEWER . The runtime processing code was unable to create a style for this page. For iClient this likely means that default page style is missing in the stylesheet. PeopleSoft Home screen was pretty messed up and I couldn’t do anything. Even the Navbar wasn’t loading properly. As system wasn’t letting me to navigate to PeopleTools to fix the stylesheet, I knew I had to do it at backend or had to redeploy the PS image again (which I had no desire to). So here is how I fixed it. PeopleSoft Stylesheet information is stored in a delivered PeopleTools table i.e. PSOPTIONS. To find out the current stylesheet you can run following SQL. Now to update this stylesheet run the update command to change it back to desired stylesheet. In my case, I knew the default stylesheet was PSSTYLEDEF_TANGERINE. Restart you PS application and try again. It will most likely fix your issue. 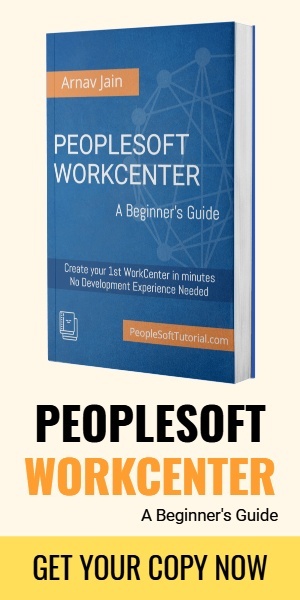 Please be very careful when updating delivered PeopleTools changes as incorrect updates can drastically impact your PeopleSoft application.